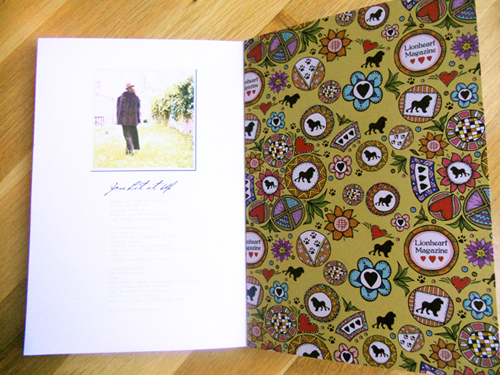 I absolutely love the patterns used throughout the magazine, designed by Georgia Coote. 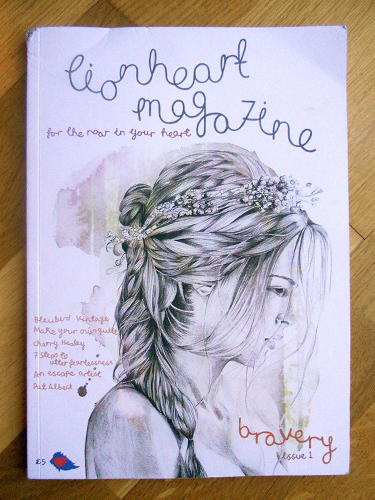 And the cover illustration by Gemma Millie is truly beautiful. 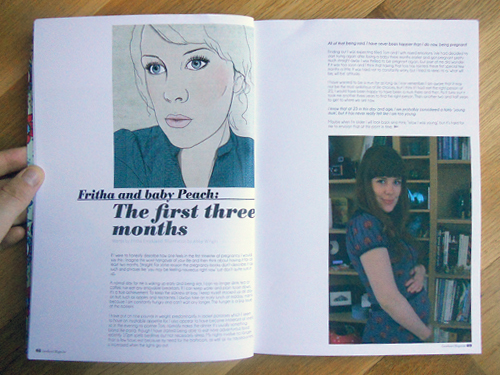 I was asked to use my previous illustration of Fritha for a piece on her and little Wilfryd (still a tiny peach when written!) I was delighted for her to use my piece, Fritha is such an inspiration and I love how we've gotten to know each other through twitter - I even went to stay with her at the beginning of the year! A wonderful read! This illustration was produced to accompany an interview with Bleubird Vintage, the inspiring owner of this beautiful blog. It's one of my favourite blogs and I always come away feeling positive, inspired and full of ideas. I love her photographs and posts on motherhood. Her blog makes me excited about the future - home and family - and I think it is her blog that made me want to share more photographs in my posts (so thank you Bleubird!). The interview with her is as inspiring and wonderful as always, so enjoy! 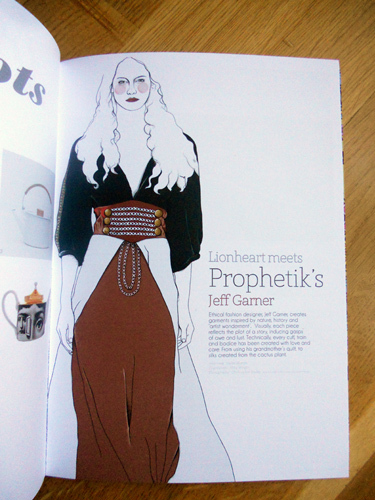 My final piece in the magazine was a fashion illustration inspired by designer, Jeff Garner of organic design label, Prophetik. 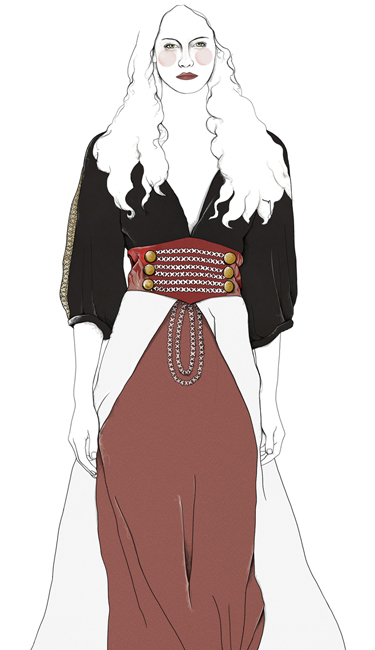 I love his designs and in particular the piece I illustrated from his A/W 2011/2012 collection. His work is both bold and striking whilst still remaining very wearable. The interviews discusses his journey, ideas, his ethical approach and much more. 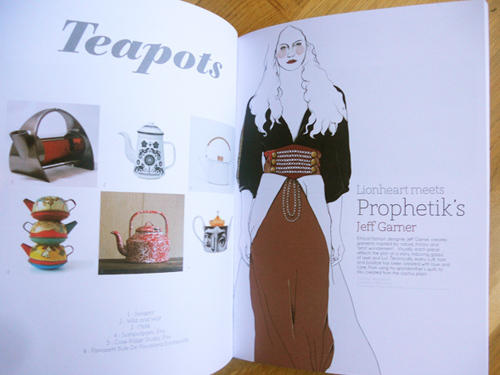 (I also love Teapots page opposite my illustration!) Below is my illustration in full. I loved this piece - the colours, detailing and the mix of dark and light. Below are some of my favourite pieces from the magazine. 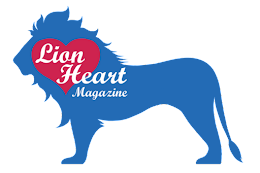 The first is a piece by writer and presenter Cherry Healey (most known for her insightful and thought provoking BBC3 documentaries), discussing the magazine's theme of Bravery. 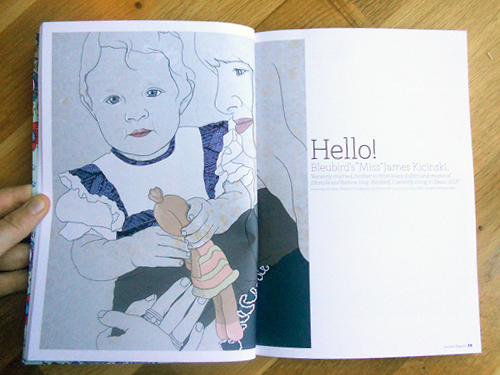 I absolutely love the illustration by Rachel Lewis, it's stunning! 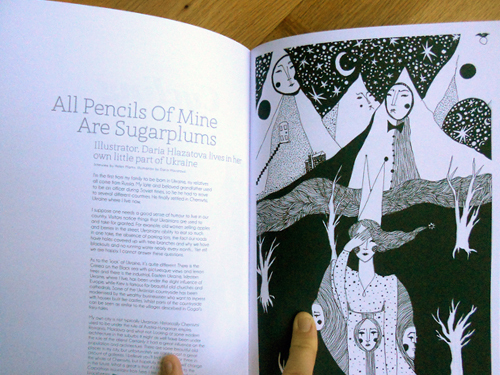 The next is an interview with illustrator, Daria Hlazatova. Her work is so dreamlike and magical, I could get lost in her blog all day. You can see the detail and love she puts into her illustrations. 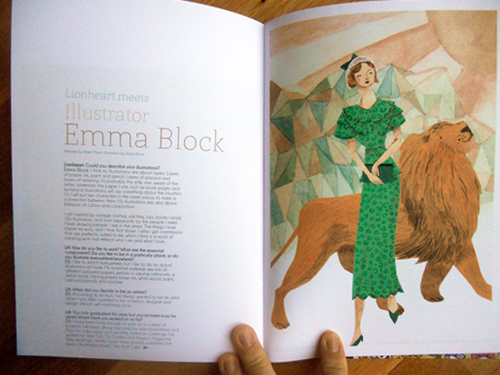 And finally, an interview with Emma Block. 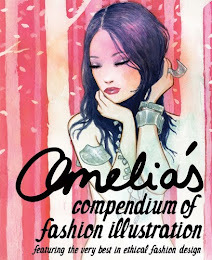 I feel like I have grown with Emma, graduating at the same time, appearing in Amelia's Cmpendium of Fashion Illustration together. I love watching her develop and this is a lovely little piece! I really couldn't recommend this magazine more. it's full of so much beauty and inspiration! I can't wait for the next issue already! Aw, thank you ladies! Daria, it's an honour to be in there with you, too! 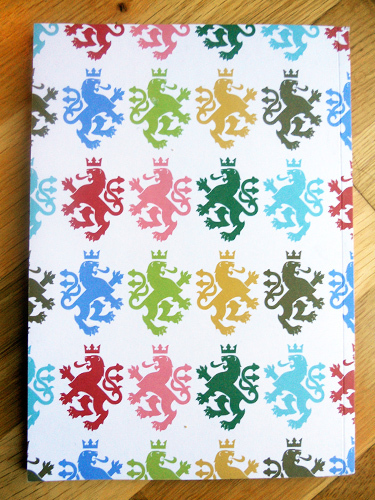 And Rach (hehe Abs Fabs ;)) I look forward to your post! 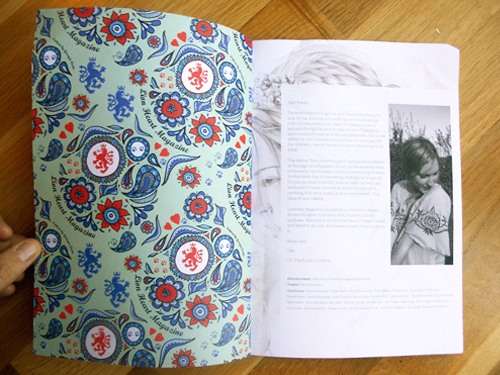 quincylampshades: really loved the piece on you in the magazine as well. Amazing work and very inspiring!